Global supply chains, varying labor rates, uncertain transportation costs, and last-mile delivery challenges combine to create new complexities for today’s companies. Add shifting trade policies, consumer consumption patterns and global tensions to the mix, and we see a perfect storm of uncertainty and risk that companies doing business in the global trade arena will need to overcome. Global trade will continue to be marked by uncertainty for the foreseeable future. However, the results of this research suggest that firms will continue to leverage technology to outperform competitors in any environment. Supply chain digitization enables companies to minimize risk while achieving end-to-end visibility, improved efficiency, and cost reductions. The best technology stacks involve digitizing as much of the supply chain as feasible, yet the “right” stack will differ from company to company. Although finding the right stack might sound daunting at first, this task should be seen as a way to spark your company’s innovativeness in finding new ways to compete and win. Amber Road helps companies transform their global supply chain to improve margins, enable agility, and reduce risk. We increase operational efficiency, reduce direct costs, and create a faster, leaner, more agile supply chain. We streamline the global supply chain through digitization, which allows for collaboration, automation, analytics, and flexibility. Our global supply chain solution is a cloud-based platform that plans, optimizes, and executes all aspects of global trade. It has the broadest functional footprint of any GTM solution in the market. Our solutions also incorporate in-house sourced, country-specific regulatory trade content, gathered, interpreted, and updated on a daily basis by Amber Road’s seasoned trade professionals. 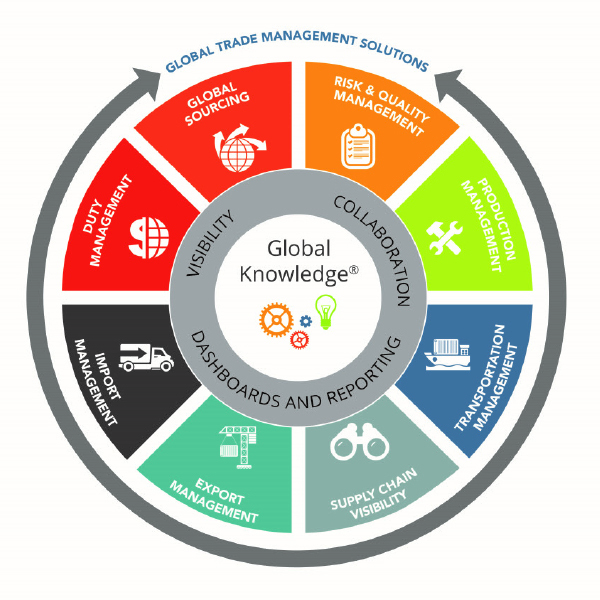 Global Sourcing: Streamline real-time visibility and improve collaboration with multi-tier trading parties to improve the planning, forecasting, and raw material reservation processes. Risk & Quality Management: Accurately determine that all trading partners are in compliance with regulatory requirements and corporate standards defined for social compliance, product safety, and quality that reflect the importance of the brand. Production Management: Achieve greater visibility and control, become more agile and competitive, and reduce sourcing costs across the board. Transportation Management: Identify and remove inefficiencies resulting in shorter cycle times and less variability, helping companies reduce transportation costs, while improving service levels and transit times. Supply Chain Visibility: Connect importers and exporters with their overseas suppliers, logistics providers, brokers, and carriers. Export Management: Automate the end-to-end export process to reduce export compliance risks and improve export efficiencies. Import Management: Automate import activities and provide critical information for decision makers, including the data needed to measure key performance indicators. Duty Management: Simplify and automate the qualification and administration process of preferential trade programs along with managing Foreign-Trade Zones. By digitizing, centralizing, and automating these processes, Amber Road accelerates the movement of goods across international borders, enhances compliance, and reduces global supply chain costs.